B-59E, Sector 60 Noida - 201301, U.P. SSB Realtech Projects Ltd is one of the most rapidly growing real estate companies in India. The company provides a host of verticals including, land identification and acquisition, project planning, designing, project execution, property services and estate management. 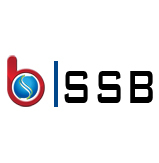 The SSB Group has a definitive presence across North India. The headquarters of the company is in Noida, with operations in several major cities in and around Delhi NCR. The philosophy of the SSB Group is to provide its clients with quality residential services through continuous reinvention. The foremost projects of the company consist of residential projects in Greater Noida, areas next to the Yamuna Express Way, Dehradun and Vrindavan. Providing a multitude of modern day facilities, these projects are the definition of everything the SSB Group strives to inculcate in its projects. Each project undertaken by the SSB Group has the mark of integrity, innovation and structural strength. Chairman and Managing Director of SSB Realtech Projects Limited is Mr. Sunil Singh. Under his proficient leadership, the company has scaled new levels of perfection and client satisfaction. Using the latest technology available in the international market, the company leaves no stone unturned in terms of delivering only the best. The SSB Group strives to continually raise the expectations of the clients and meet them every single time.